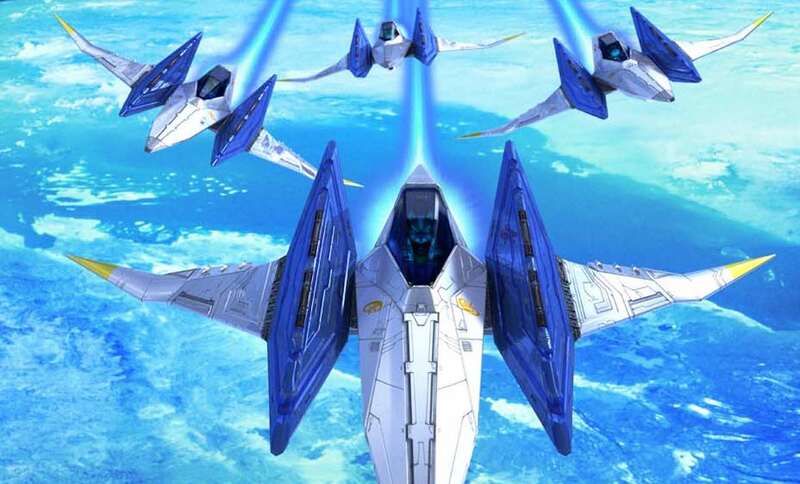 Retro Studios may be hard at work on Star Fox: Grand Prix for Nintendo Switch, which has become the latest rumour to swirl around online as E3 2018 fast approaches. With a pinch of salt to hand nearby, this is said to be a spin-off racing game that has been likened to Diddy Kong Racing and F-Zero. If true, we can expect an Adventure mode, boss fights and a hub world to soar around. “What Retro Studios is working on is a spinoff based on an existing Nintendo IP that they haven’t worked with before…. Star Fox,” Reddit user DasVergeben writes. The rumour was then backed up by someone on 4chan who simply wrote “all true,” alongside posting the game’s logo (below). The whole concept sounds strangely similar to The Curse of Pigma, one of several endings to Star Fox Command. After Star Wolf takes everything from Fox, Falco comes up with the idea to retire as pilots and engineer their Arwings into racing machines. That, as the ending explains, would then see them “enter the high-speed world of G-Zero Grand Prix racing.” Fox and Falco turned out to be a great team, and won race after race to become household names across a countless number of planetary systems. It has been more than four years since Donkey Kong Country: Tropical Freeze was released on Wii U, and, at the time, producer Kensuke Tanabe had confirmed that Retro Studios was working on a new game to which president and CEO Michael Kelbaugh added had been in development for a few months since the loveable ape’s side-scrolling adventure was finished. Since then, there has been complete radio silence about what project the developer had underway. The legendary Shigeru Miyamoto had shared that Retro Studios was considered to be “a very high priority” for the next Metroid game, but, as we soon learned, a “talented new development team” is behind Metroid Prime 4. We are now 29 days away from the Nintendo Spotlight: E3 2018 presentation, and, if this rumour turns out to be accurate, we are sure to learn more about Star Fox: Grand Prix then. And, as Mario + Rabbids Kingdom Battle has proved, it’s best to wait until we see it in action before passing judgement. You sure you didn’t come across some fake? I received this logo some weeks ago, which shares the same file name as those on the paper (NSW_StarFox_Logo_HACP_SFGP_WWlogo01_02_R_ad-4.png). It was inevitable that the rumour was going to be met with scepticism. It’s not long until E3 2018, so we’ll have to wait and see what’s announced at this point. Seeing that there are more logos spread on the internet beyond the one I received makes me even more sceptical. You’re more than welcome to be. Its real. Eurogamer are now saying their sources are saying the same thing. Reality is always stranger than fiction. So its only right this turned out to be true. People didn’t connect the dots leading to this. Nintendo tried to get F-Zero made a few years ago. The people they wanted to do it were busy on another project. Retro helped with Mario Kart 8 tracks. Nintendo were very impressed with their ideas for Mario Kart. The signs were their that Retro could be making a racer like F-Zero.